One of the many ways to communicate with a cryptocurrency network, specifically, to send and receive transactions, is to get yourself a good, functional, safe and easy to use wallet. And guess what – you’ve just stumbled upon one! We’re all busy and in a rush, but do spare a few moments of your time to get acquainted with the most important features of the multi-token blockchain Jaxx wallet. We promise to be brief, specific and highly attuned to the needs of a client, thus providing an all-you-need-to-know Jaxx starter pack! Today, you may be just a curious reader, but tomorrow you could become a genuine client. So, get the best preparation right now by reading our Jaxx wallet review! If you’ve visited any of the cryptocurrency sites listing the most used and top-rated wallets, you must have seen the name Jaxx. Founded in 2014, developed in Canada by a leading blockchain company, Decentral Inc., it has been helping people to manage their crypto transactions by providing an easily accessible and understandable way to do business. It’s a fairly young company, but its reputation is growing stronger by the day. Clients recommend it due to its design, ease of use and functionality. Some complain, it being a rather new crypto wallet, it’s better to avoid it, but honestly, not giving “the new guy” a chance is a very poor reason to justify one’s fear and lack of knowledge. Don’t be that person. Now that we’ve got that sorted out, our Jaxx review can turn to some of the finer details of using this product. As you may know, there are three types of crypto wallets – software, hardware, and paper. Software types have the option of being online, desktop or mobile and that’s exactly where you’re able to use the Jaxx wallet. It is available on a variety of platforms and is designed to sync across whichever devices you’re using. This makes it possible to interact directly with websites. It’s compatible with Windows, Apple and Linux, Android and iOS mobile and tablet usage and also has extensions for Google Chrome and Firefox. You can import paper wallets, as well! It’s no wonder it’s called one of the most accessible wallets out there. 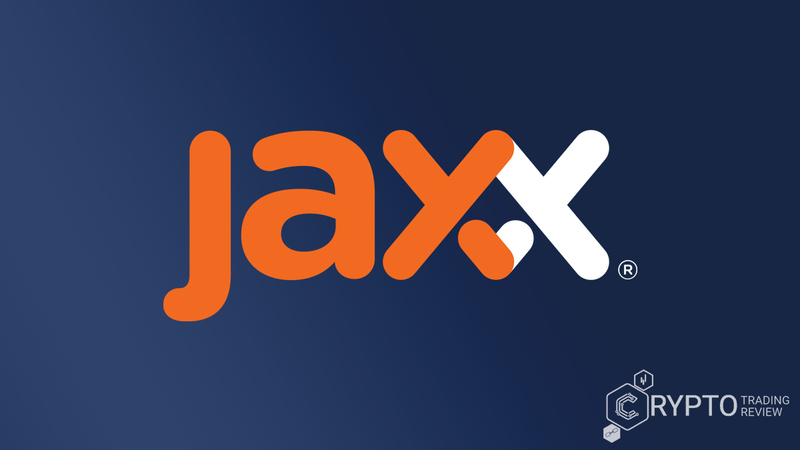 Jaxx has a very user-friendly interaction, a permissionless access which means there is no user dana. Your name and phone number, let’s say if you’re using the mobile version, is not known to Jaxx. You’re in control of your keys, the wallet does not hold nor does it have access to your funds. Another important feature that simply must be mentioned in this Jaxx wallet review is the number of supported coins! Why meddle with complicated or completely unnecessary procedures with several other wallets when you can make things simple for yourself? So far, Jaxx supports over 25 cryptocurrencies and tokens, some of them being Bitcoin, Ethereum, Dash, Ethereum Classic, DAO, Litecoin, REP, Zcash, Monero any many, many more. Many recommend this as a great option for a Bitcoin wallet, and it supports Bitcoin Cash, as well. Every single of these coins is supported by Android, iOS, Windows, Mac, Linux and the Chrome Extension. Jaxx is constantly growing and adding more digital currencies, having great potential for expansion. Built into the wallet is a functioning ShapeShift button that allows you to convert between currencies within the same wallet. You can even store fiat currencies! All it takes is downloading your Jaxx app and you’re good to go! In order to get things going, you’ve got to get the proper tools. In this case, downloading the Jaxx app is the first step. It’s completely free, fast and simple. After the installation is complete, you can either choose to create a new wallet or pair/restore a former one. That one’s on you. After you’ve clicked the desired option, an Express or Custom setup is offered. Users recommend choosing the Custom because then you manage your backup/recovery passphrase needed if by any chance you lose access to Jaxx. You might agree this is pretty important, but hopefully, you won’t have to thank us for pointing this out. After you’ve finished with this, on we go to selecting coins (Bitcoin, Ethereum, Dash, etc.). This part you can always edit and just keep on adding or removing coins whenever. Select your fiat currency of choice (for example, USD for US Dollars). By clicking you understand how the Jaxx wallet works (hopefully by then you do understand how it works), you’re creating a wallet backup. A generated 12-word phrase will be shown – write it down and use it in the next step, and then, mind you, this is highly recommended, enter a PIN. If you’re dealing with Bitcoin and have chosen it while installing the Jaxx app, it might be of use to copy and save your Bitcoin address in a safe place. The same goes for any other coin of choice. And remember, care for this app with the same amount of importance you give your standard wallet. Now, off we go to the next very important step in our Jaxx wallet review! After downloading and installing the Jaxx App, you’ll be able to select which cryptocurrencies (Bitcoin, Ethereum, Dash etc.) you want to add for usage. For each one, you also have a visible transaction history showing all of your sent or received transactions. The wallet itself is very easy to use – by clicking Send or Receive you basically do all the work needed. There’s also a separate icon which activates a camera for scanning somebody else’s QR codes. Your current crypto address is shown in the “Receive” section. When you want to convert your cryptocurrencies, you simply go to “Send” button where you’ll see a small fox figure representing the ShapeShift button. The mining fees depend on the speed of the shift which can be slow, average or fast. The faster the shift the pricier the fee. So, decide for yourself, pick whatever works for you more, depending if you’re in a rush or you want to save up a few cents. After the shift is done, sometimes when checking the amount of coins, you might want to refresh your app. Don’t freak out if you see no change in your desired currency, the coins are there, they just might not be visible until you click the two little “refresh” arrows over the currency you’re viewing. The mobile and desktop apps look exactly alike, they share the same functionality, same options for sending and receiving coins and, as we said before, the apps are in sync, so any transaction done on your phone will be visible on your computer desktop app and vice versa. The Jaxx app offers several different options in the Tool category – an option to display a backup phrase, private keys, to pair devices, transfer paper wallets or split your coins. 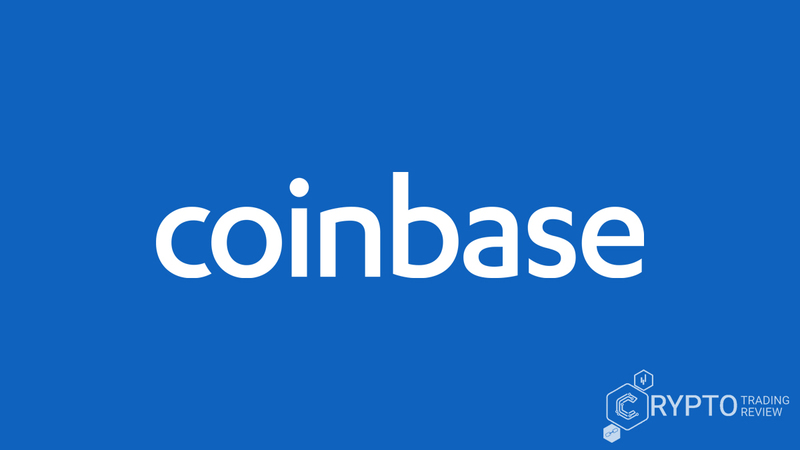 If you want to send currencies from different wallets, what you’ll need is the address of that particular wallet and to be even more exact, of that particular currency which you’re sending. For example, if you plan on sending Bitcoin to someone, be sure you’re sending into their Bitcoin address. It’s also possible to do it via QR code if the receiver had provided you with one. Remember that camera button that comes with the mobile version from earlier? Time to use it! When using a desktop version, you’ll paste the address manually, no big deal. Keep in mind, addresses are case sensitive, so stick to copying and pasting, instead of typing. You know, just in case. Jaxx problems? What Jaxx problems? Some problems or minor difficulties have been reported while using this product, so we thought it’d be a good idea to say a few words about them in this Jaxx wallet review, as well. We’ll be dealing with some basic issues users have had in order to clarify things and keep everyone at ease. Let’s sort some things out! First off, people get a bit jumpy when they see their address keeps changing. Oh no! Why is that? Well, if you did not know this before, you’ll know now – Jaxx is a hierarchical deterministic wallet meaning each time you do a transaction, a new address is generated in order to keep your balance private. There’s an option in the Jaxx App to see all your former generated addresses, so you can keep track of things and you can use any of these former addresses for other transactions, as well. People complained Jaxx keeps crashing, but that might as well be because the user is receiving mining rewards. We experienced no such problems. This is a lightweight wallet, so it might be wise to redirect mining payouts to some other location. Another issue may be that transactions for Bitcoin take too long. Well, being the most popular cryptocurrency, sometimes the Bitcoin network experiences a greater level of activity and it takes a little bit more time to process desired transactions. You can speed it up by choosing a faster confirmation speed. Another potential Jaxx problem might be that your transactions keep failing. Sometimes there’s a lot of congestion on the network and the funds get shipped back to the original address. There might also be other reasons, for example, firewall, Tor or VPN are enabled on your device and they actually might interrupt the passing of information to the blockchain; the Wi-Fi network you’re connected to might not be strong enough (especially if they’re public or restricted, watch out for that) or you might just have reached a daily maximum deposit limit. These things can be a pain, but, this Jaxx wallet review is here to teach you there’s pretty much a logical solution to every problem, so no need to panic or fuss. There’s a lot of user-friendly information online with simple explanations and solutions. But, due to the simplicity and functionality of Jaxx in general, these things happen very rarely, though it is good to know that a potential problem is actually just how the system works and that all is manageable. The wallet works fine, the only problem could be in the settings of your device. And last, but not least, one of the first things we’ve pointed out as a great feature is the design. But the wallet is constantly working on improving itself, evolving, upgrading, forming new partnerships and integrations. Just a sneak peek, concerning some future integrations, Jaxx announced that Ripple is on the list! If you don’t know anything about it – Ripple is that one cryptocurrency that unlike others has a bank partnership and has been known to have a faster than light transaction speed. Well, maybe not that fast, but hey, 3-4 seconds for a China-USA transaction is pretty good. Especially if it costs a penny. But, back to Jaxx! 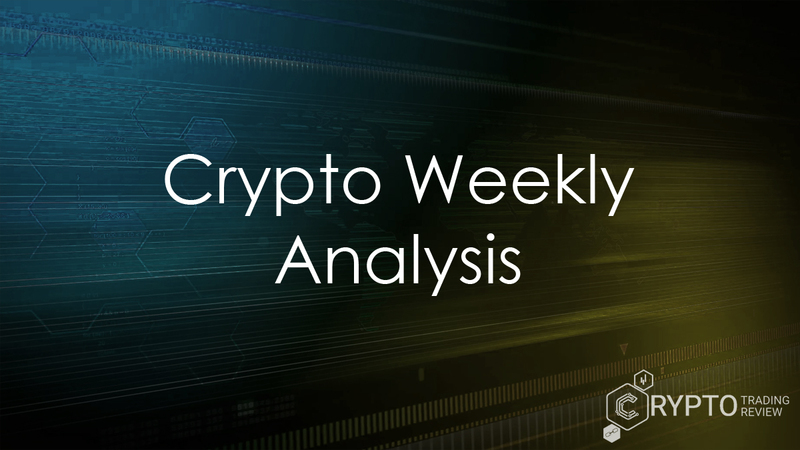 With a mission to serve as a distinguished blockchain dashboard – taking its performance standards, efficiency, but even more, user’s satisfaction very seriously – this product has really earned its place among the top crypto wallets out there. That’s pretty much it for now! Hopefully, this Jaxx review will serve as a good starting point for all your future endeavours. The basics are covered, and the most important stuff is left for you alone to discover – start using Jaxx today and see for yourself what it’s like to have a functional, multi-token blockchain super-wallet within a hand’s reach!